Five 1849-1851 handwritten documents and letters from the Sanford, Maine - Saco, Maine, area. 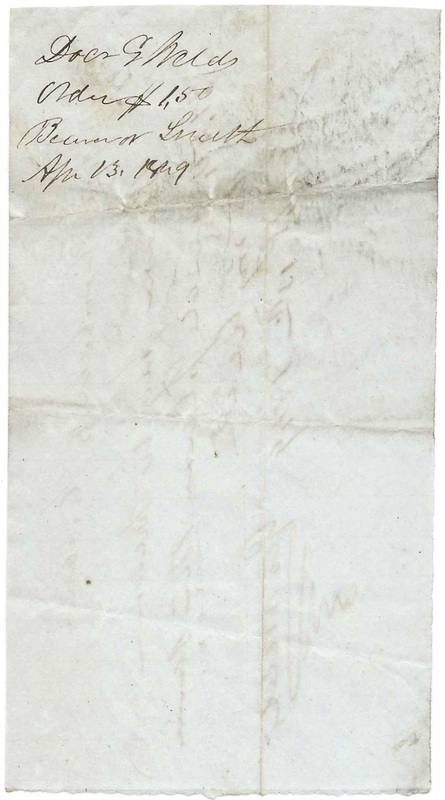 Jake Philpot (possibly J. L. Philpot or J. S. Philpot as written on the reverse of the document); credit slip of George Weld to Mr. Hubbard, dated June 8, 1850, with Jake Philpot mentioned as payee. 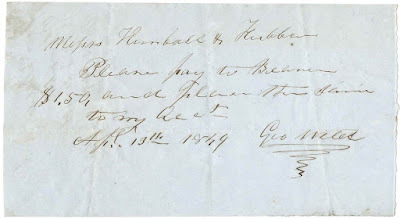 See another post which features an 1849 document signed by George Weld; it mentions the names Stephen Wilkinson; James Hubbard and J. L. Kimball. It's possible that James Hubbard is the man whose name appears on the five documents mentioned above. And J. L. Kimball may have been half of the business Kimball and Hubbard; his partner was likely James Hubbard. Mr. Hubbard may have been James Hubbard, a name shared by several men in the York County, Maine, area. He may have been the James Hubbard who was born about 1812, the son of William Hubbard, and husband of Hannah Adams. This Mr. Hubbard and family joined a colony of settlers at Grinnell, Iowa, about 1854. The other half of Kimball and Hubbard may have been John Horne Kimball, born May 20, 1811 at Shapleigh, Maine, son of Nathaniel and Mary (Horne) Kimball. He married Sarah Rollins Philpot in April 1842. J. H. Kimball was a postmaster and eventually went to work for the Post Office Department at Washington, D.C. He was living with his son Edward and family at Washington, D.C., at the time of the 1900 Census; his wife Sarah had died by then. Dr. George Weld was born September 8, 1796 in Vermont, the son of Samuel and Sally (Hayden) Weld. 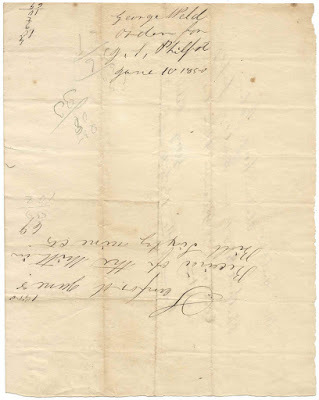 On June 15, 1828 at Lebanon, Maine, George married Theodosia Wentworth. 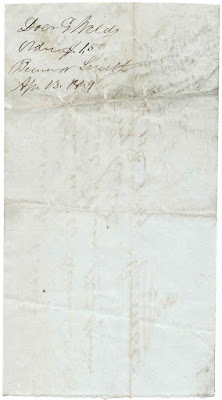 They had at least two children, at least one of whom, Sally W. Weld, died young at Lebanon, Maine, on November 8, 1834. Dr. Weld died at Sanford, Maine, on July 17, 1854. The document below mentions Jake Philpot [J. S. Philpot on reverse] as the payee. Jake Philpot may have been John S. Philpot, born December 28, 1823 at Somersworth, New Hampshire, the son of Moses and Eliza (Gage) Philpot. At the time of the 1850 Census, John was living at Sanford, Maine, with wife Nancy (Joy) and two children; John was listed as a laborer. John S. Philpot died in 1909 at Sanford, Maine. I'm hoping a reader might have an idea of the identity of this particular John Hanscom, as there were several possibilities for that name in the Saco, Maine, area. 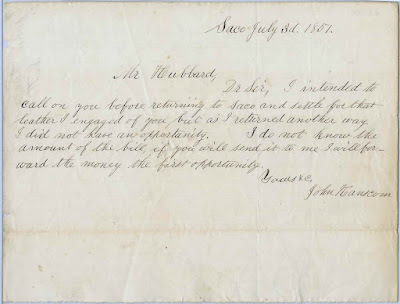 He may have been the Saco printer, John Hanscom born June 11, 1830 at Eliot, Maine, son of Alpheus and Mary (Libby) Hanscom, and husband of Henrietta (Miller) Hanscom. John and his brother Alpheus operated a printing business at Saco, Maine. John later served published a newspaper and served as the customs officer at Saco, Maine. 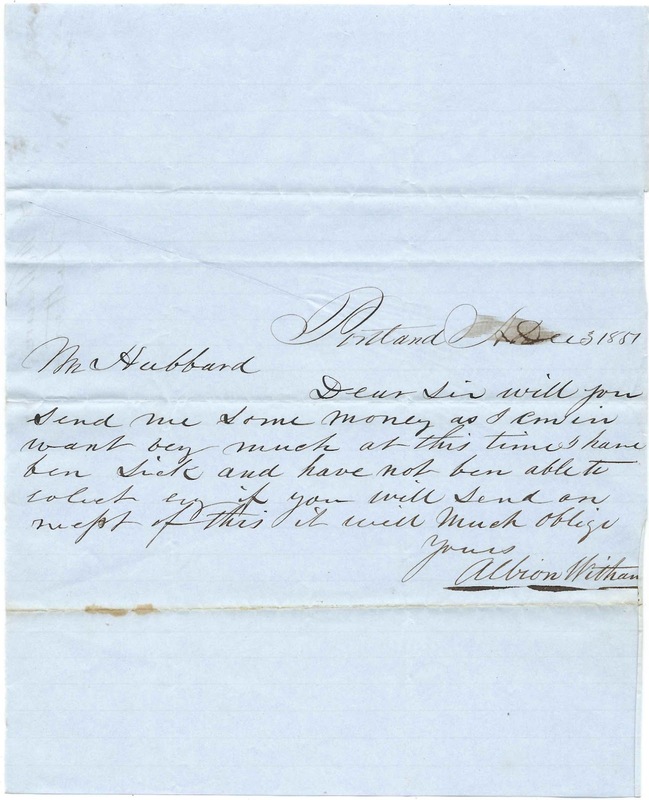 Albion Witham may have been the Albion Witham who married Isabelle Parsons at Portland, Maine, on April 25, 1850. He was listed on the 1850 Census of Portland, Maine, as a trader. 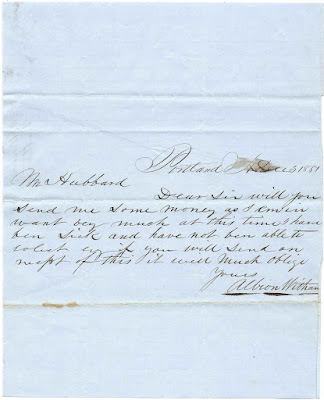 Could he be the same Albion Witham, described as a Portland merchant, who later served in the Civil War as a Lt. 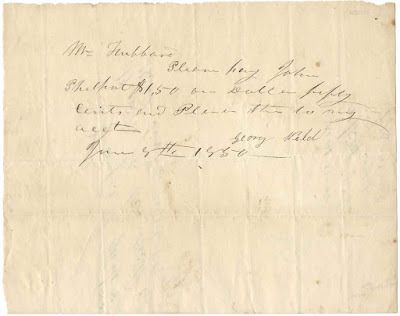 Colonel in the Maine First Infantry and was involved in a dispute over a horse purchased from John Stewart of Baltimore, Maryland? More information on that Albion Witham appears on an auction listing for six of his military documents. He died December 8, 1863 of consumption and is buried at Evergreen Cemetery at Portland, Maine. 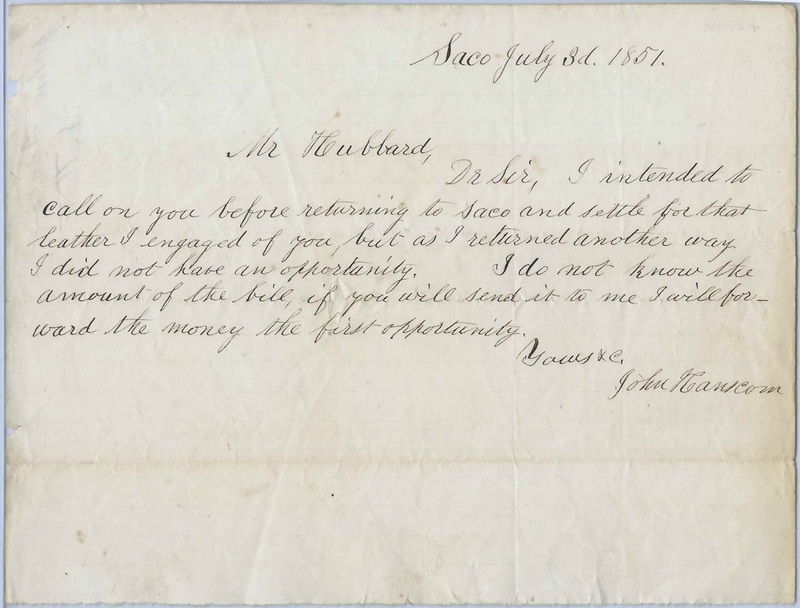 Ira Heard [some records show Hurd] was born, I believe, on July 28, 1801, at Berwick, Maine; but the recreated record of his birth does not list his parents, though they may have been Jacob and Sarah (Hill) Heard. On October 15, 1823, also at Berwick, Maine, Ira married Lorana Allen, or Lorania Allen, daughter of Elijah and Lois (Hill) Allen. The 1850 Census of Sanford, Maine, lists Ira, Lorana and eleven children; Ira and his oldest son Isaiah were listed as carpenters. Ira Heard died in 1876. 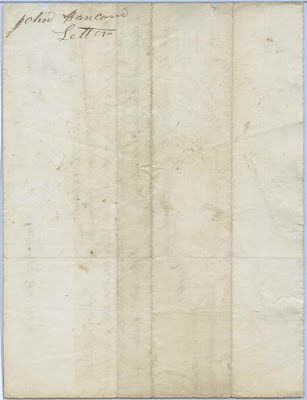 See his document at top.